Find Home. Encounter Jesus. Pursue Gospel Change Together. Find Home: 150,000 out of the 265,000 people that live in our city were not born in the United States. We believe God loves that! It is a representation of the diversity of heaven. We also believe that many people feel displaced, lost, and without true community and family. We want to be home for you. We want to be home for all. A place where you are loved and accepted and where you receive the greatest truth this world has ever known: Jesus loves you and calls you His child. You have home with Him! Encounter Jesus: Jesus is alive and He wants to change your life. Every structure we have, every song we sing, and every service we hold will have one goal: Encounter Jesus. It is impossible to meet the most powerful person on earth and walk away the same. We take very seriously Jesus’ command to “make disciples” (Matthew 18:19). This means we will be devoted followers of Jesus who encounter Jesus every day and bring others to encounter that same Jesus as we live our lives out in front of them. Pursue Gospel Change Together: Jesus is not ok with injustice. He has called his sons and daughters to be a part of the redemption and restoration of the brokenness that we see around us everyday. Jersey City needs us to link arms together and bring God-sized change and God-sized mercy to the poor, broken and lost. He wants to change our priorities and he wants us to be a part of a movement that brings unconditional love to Jersey City. Here is what we want to see God do through our movement by 2023! We want to see a Missional Community in every major neighborhood of Jersey City. 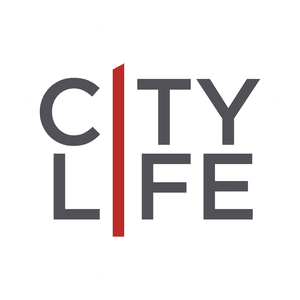 We want to see 2 church plants birthed out of CityLife Church. We want to see a refugee house, or apartment building in partnership with Church World Services come out of CityLife Church. We want to see 130 people give their life to Jesus. We want to see 100 people get baptized. We want to see 75% of our people giving of their time, talents & treasures. We want to see a quarterly major outreach and a monthly minor outreach (MC’s) at CityLife Church. We want to see 85% of our people in Missional Communities. We want to see 85% of our people in discipleship relationships. EVERYONE IN>>> This is the umbrella that sits over our core values! In a consumer Christianity and a highly consumeristic city, people tend to see Church like they see everything else: an accessory that they choose that should benefit them. This not only affects the way and why people go to church but how they see God. The answer to this is not to shame culture, but to live in a counter-culture of participation. A movement where EVERYONE IS IN by participating in family, discipleship, mission and the utilization of the gifts that God gave them for His glory. Family-sized communities living like family and serving together as missionaries. These communities live like family resurrecting the early church model of eating, praying, sharing, and proclaiming the love of Jesus together all over the city (Acts 2:42-4). God considers us family, and has adopted us as sons and daughters (2 Cor. 6:18, John 1:12, Romans 8:14-17). He has asked us to live like family (Romans 12:10, Matthew 12:49). It is also paramount that the souls in these communities feel a burden to live as missionaries in the workplace and to be on mission together in Jersey city as a missions team. Application: We will aim to have missional communities in every neighborhood of Jersey City. These missional communities will have 5 core elements. eating, praying, studying Scripture, discipleship and consistent mission. Context Root: Our City is desperate to belong. Jersey City is a highly transient city made up of people who were born in the U.S and people who were not. We live in a city where almost half of our people are foreign born. Many of our immigrants were not welcomed in their home and so the hospitality of a family environment is critical to their understanding of what God thinks of them and how much God wants to draw them to a family of faith. God is their home, we are their home. Jersey City is also passionate about Mission and Community. Mission is expressed in different ways, but people will gather for a cause and express their voice for the betterment of their community. People gather for events all year long chasing connection and relational community. As clear as day, and with the urgency of parting words Jesus says to go and make disciples. These are active commands from the lips of Jesus and there are very few commands from Jesus that carry similar weight and clarity. If we are to be a church we are to make disciples. Application: We will have a clear gauge to determine whether someone is in a set of discipleship relationships and a cyclical routine as a church to foster these relationships. Our on ramps need to be consistent and bold considering there is so much turnover in the downtown community. Context Root: In a disconnected city where people put their head down to grind, and relationships are dispensable in the name of success, we are desperate for life transformative connections. Discipleship provides those connections in relationship as one devoted follower of Jesus is leading another how to devote themselves to and follow Jesus. We highly value giving everything we are back to God. Every good thing we have is from God (James 1:17). And every gift that we have is meant to be given back for the glory of God (Isaiah 43:7). We have natural talents and giftings and spiritual giftings, all meant to be given back to God and all meant to be regifted for his glory (Exodus 31:1-6). We have money, resources, and time, again all meant to be given back to God and stewarded for His glory. Application: Our worship services will be filled with artistry, servanthood, and passion. We will give people the opportunity to give back to God with their time, talents, and treasures. We will give our people on ramps to use their various giftings and we will avoid centralizing and specializing ministry for the specifically educated. Context Root: Our context is made up of gifted artists and some of the most driven and talented people in the world. They are serving in high capacity jobs, in positions of significant reach. We believe these positions, giftings and talents were meant for the advancement of God’s Kingdom. They also enjoy each other's art in community and like to share together even if it is amateur art. Jesus spent His time out in the community going to dinner with tax collectors and sinners, not at the temple, but in the streets. We will place high value on creating a calendar that involves the church on the move and our missional communities on the move. Application: At any point our worship service may not be in a church building but out in the community. Also at any point our missional communities will be meeting in public or attending public events together with the hopes to be missionaries. Context Root: Again, our city is fearful and even hostile toward institution and authority. Asking our people to come to an institution who claims to have authority is asking too much. Jesus spent His time out in the community going to dinner with tax collectors and sinners, not at the temple, but in the streets. We love our city. God loves our city. We believe He is the God of our city. He has been positioning other churches, non-profits, and other organizations to bring His name and his love to Jersey City. Because of that, we place high value on partnering with our city for systematic community transformation. Application: We will seek to build 10-20 major partnerships with non-profits, other churches, and community organizations so that we can empower them and be a part of what they are doing for long term change. Context Root: Jersey City comes out in numbers to be one voice and share their voice on a public platform. This means they desire to get something done and they care about their city, and it also means they value working together to get that something done.